I wanted the ice to be crystal clear. I read several tutorials online and watched a few videos. Several key factors were obvious. 1. The water needs to be as pure as possible. 2. The process of freezing must be slow. I also remembered a documentary where they needed to make clear ice and vibrated the water as it was freezing to get the temperature as low as possible before it turned solid. 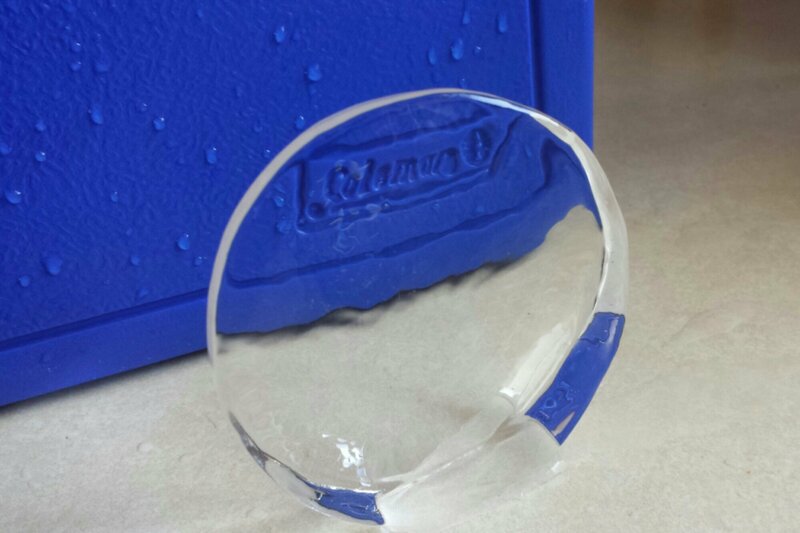 I decided to make ice in a cooler I had. I added some smaller containers to try and get some different shaped blocks. 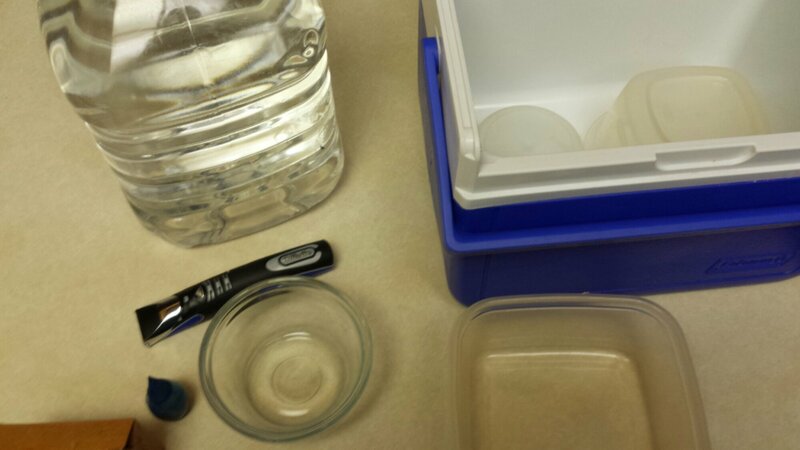 I flooded the entire cooler with distilled water. 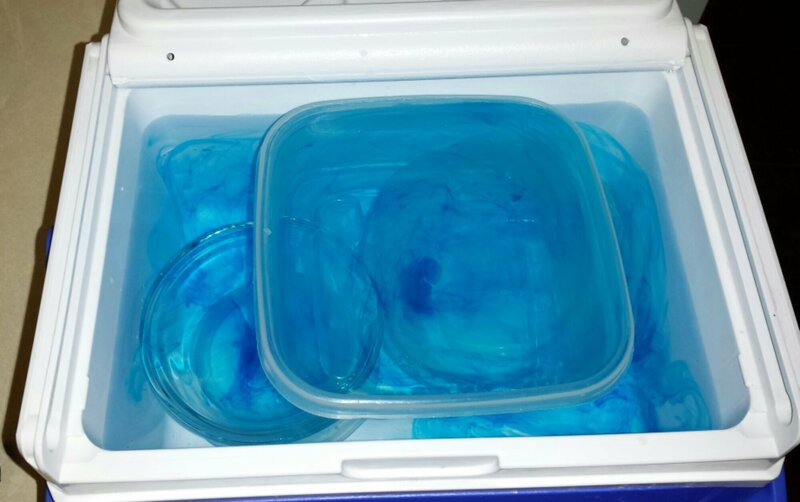 I added several drops of blue dye thinking that would help make the ice a more blue color. The beard trimmer was to buzz and prevent the surface from freezing but it didn’t last more than 6 hours. I concluded its value was minimal. After 2 days the block was still not fully frozen. I noticed the dye seemed to be concentrated in the area that did not freeze. I decided to pull the block out. After I got the block out of the cooler I realized it would have been awesome as is without the containers. I decided to cut the block and pull out the containers. I found a few surprises. Some perfectly clear well formed shapes. I think this will work very well.